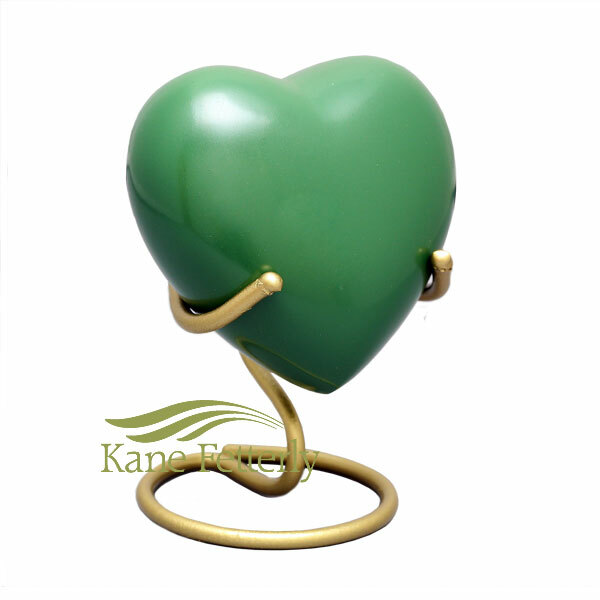 Green brass heart miniature urn. Heart shown with gold stand (stand not included). Engraving of initials available to personalize the heart. Also available as a full-size urn and miniature urn.